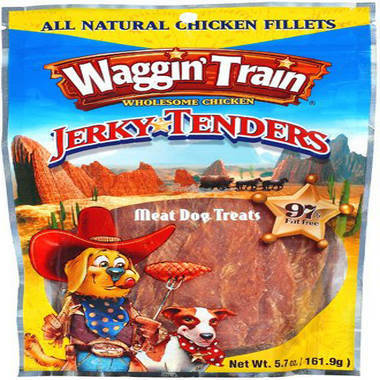 Waggin' Train Wholesome Chicken Jerky Tenders were among 13 Nestle Purina brand treats listed among 22 complaints being investigated by the Food and Drug Administration. The treats, made in China, have been tied to reports of illnesses and deaths in dogs. The report, obtained through a public records request, is the first agency indication of any brands linked to illnesses that have climbed since the FDA warned pet owners about jerky treats in November. That was the FDA's third caution about the pet products since 2007. 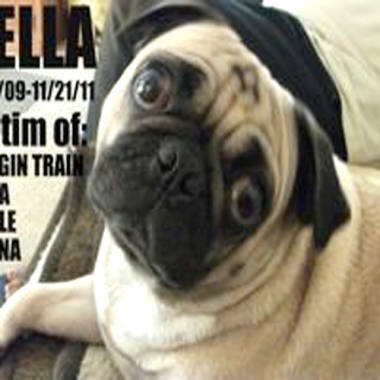 Bella, a 2-year-old pug, died last fall after her owner, Robin Pierre, said she ate Waggin' Train chicken jerky treats. Pierre, 49, of Pine Bush, N.Y., believes Waggin’ Train chicken jerky treats were responsible for the sudden death last fall of her previously healthy 2-year-old pug, Bella, who developed kidney failure. Ginger, a 14-year-old family dog, sparked one of three petitions after she developed kidney failure possibly tied to chicken jerky pet treats. Her owner, Susan Rhodes, 51, of Port St. Lucie, Fla., wants the treats pulled from the market. More than 375 people have signed a petition launched last week by Susan Rhodes, 51, of Port St. Lucie, Fla. She believes her 14-year-old dog, Ginger, may have developed life-threatening kidney failure after eating chicken jerky treats. She was stunned to hear that consumer complaints alone can’t force the FDA -- or a company -- to recall potentially tainted products. 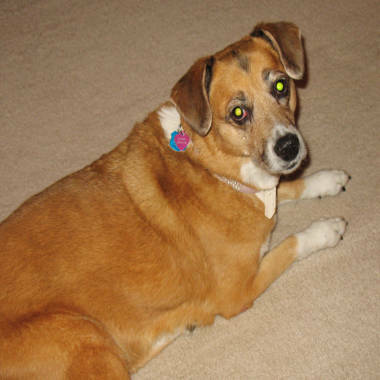 Pierre, who lost her dog, has little faith in pet food manufacturers -- or in the FDA. Consumers can report illnesses to the FDA's pet food complaint site.